Sailing Area: Within the Chesapeake Bay and its tributaries, subject to skipper restrictions. The 44-foot Yawls are former U.S. Coast Guard Academy training boats. 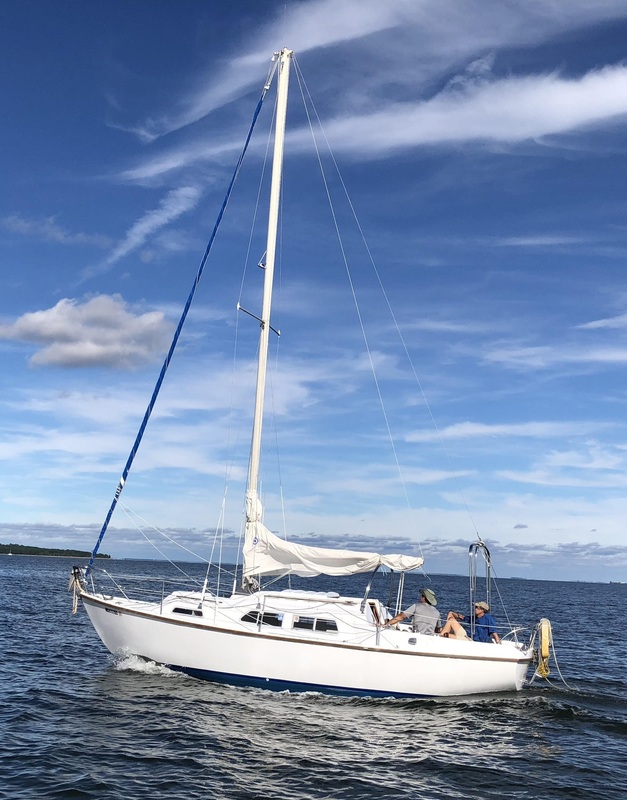 The USCGA modified the basic USNA Yawl design with roller furling headsails, updated electronics and new engines in 2005. NPSC enters them in many local races. They're also great for cruising to events such as Harborfest. Well known around the Patuxent River, the Yawls are fun to sail and provide excellent large boat training and experience. Sailing Area: Within the Chesapeake Bay and its tributaries. Great little cruisers, with comfortable cabin, enclosed head, LPG stove, roller furling jib, wheel steering and outboard with electric start. Excellent family boat, a dream to sail. Has a nice saloon, galley and enclosed head. Sleeps 6 (2 adults + 4 smaller people/children). Inboard engine with tiller steering, roller furling Genoa, storm jib, dodger, bimini. Sailing Area: Within the Patuxent River between the Thomas Johnson bridge and the line from Drum Point to Fishing Point. Daylight operation only. These 16.5-foot Catalina keelboat sloops are are used as training and recreational boats for small boat skippers. Responsive yet forgiving little boats, they are easy to sail and loads of fun! The 18 foot Rhodes Sloop emanates classic elegance. She is used as a training and recreational boat. Also used for training and short recreation sails, a bit "more boat" than the Rhodes or 16.5's!